When major moments happen in life, a celebration is always in order, and what better way to celebrate than with a coastal getaway? From babymoons and birthdays to reunions and unions, Wilmington and our island beaches have what you need to commemorate all of life’s big moments. Explore arts, culture and enjoy some quality time on your last getaway as a party of two. Art lovers can get lost in the masterpieces at the Cameron Art Museum while nature fans can picnic by the sea in the maritime forest at Fort Fisher State Recreation Area. Step up the romance with a horse and carriage ride through the brick-lined streets of downtown Wilmington where you’ll see the Cape Fear River, exquisite antebellum homes and more. To relax by the water, simply take a stroll along the Carolina Beach Boardwalk, The Loop at Wrightsville Beach or the Riverwalk in Wilmington. And what if a craving strikes right in the middle of your trip? Head to Carolina Beach for ice cream at Squigley’s and choose from one of 4,050 concoctions; donuts at Wake ‘n Bake, recently named the “Best Donut Shop in North Carolina” by MSN; or seasonal pies and savory biscuits at the new The Southerly Biscuit & Pie. School’s out forever, and the water is calling your name. Celebrate with a night on the town, watersports, chilling on the beach and more. If you’re in the mood for an evening on the water, head to Anne Bonny’s Bar and Grill, a barge restaurant on the Cape Fear River. If indoor experiences are more your scene, check out The Brewer’s Kettle—a refurbished 1950’s service station—or Wilmington’s original restaurant and brewery, Front Street Brewery. Head to Carolina Beach and feel the ocean breeze on the pier at Ocean Grill and Tiki Bar or do as the locals do and head to Fat Pelican, where you can grab a brew from a walk-in cooler. Shark Bar & Kitchen, just steps from Johnnie Mercers Pier is worth the trip to Wrightsville Beach. 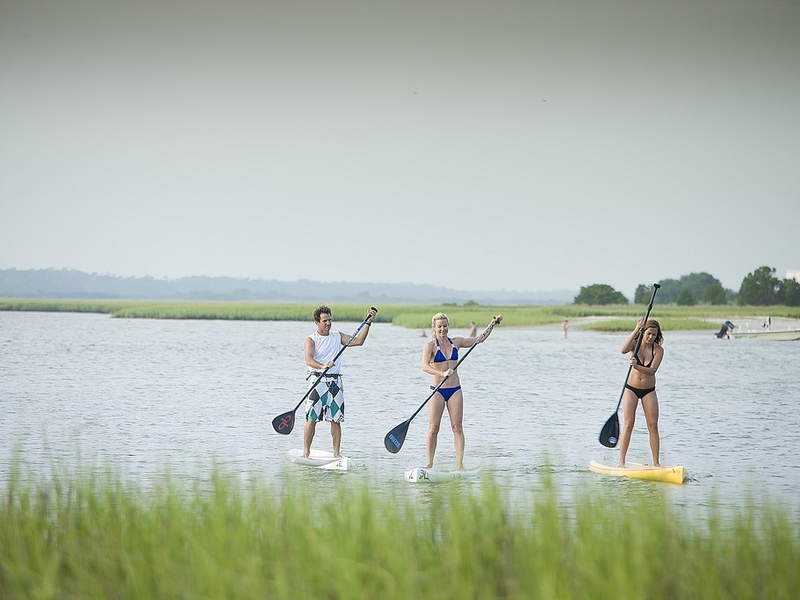 If it’s a family affair, take everyone out on the water to enjoy a standup paddleboard or kayak adventure with Cape Fear Paddleboarding, Paddle NC or Blockade Runner Surf to Sound Adventures. It’s no secret that birthdays are a big deal, which is why we’re sharing ideas for the perfect day. Kick off your celebration with live music at Pier 33 Entertainment, the event pier at Port City Marina, a new open-air waterfront venue in Wilmington that brings acts like Willie Nelson and Aaron Lewis to town and hosts a weekly concert series during the summer. Or head to a smaller hotspot, The Palm Room in Wrightsville Beach, for a more intimate setting. Then cheers yourself with a pint and birthday-themed brewery tour with Port City Brew Bus, or a craft cocktail delight at manna ave. 123, Whiskey Tango Foxtrot or Catch. If you’re feeling adventurous, take a surf or standup paddleboard lesson with Tony Silvagni Surf School or Wrightsville Beach Surf Camp. Lastly, don’t forget to treat yourself to a shopping spree. Selections from chic boutiques like Hallelu or Lumina Station’s outdoor shopping village will give you a new wardrobe deserving of a birthday celebration. If you’re still searching for your “something blue,” then a destination wedding on or by our waters is a must. 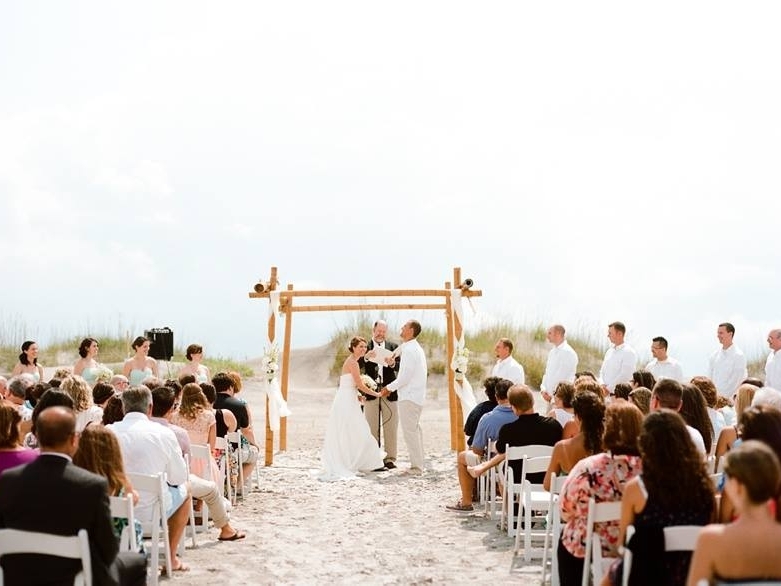 From oceanfront ceremonies at Carolina, Kure or Wrightsville beaches to picturesque Airlie Gardens and riverfront event venues, we have romance to spare. Treat your guests to family-favorite feasts at PinPoint, Pilot House or 22 North in Wrightsville Beach or, for a more traditional reception venue, 128 South. From vacation rentals to bed and breakfasts and full-service hotels like the new Embassy Suites Wilmington Riverfront in the heart of Wilmington’s River District, coordinating lodging for you and your guests will be a breeze. Coordinate a reunion that will be remembered for years to come by hosting this year’s get together at a historic home in Downtown Wilmington, under the sea at the North Carolina Aquarium at Fort Fisher or seaside at Kure Beach’s Ocean Front Park. 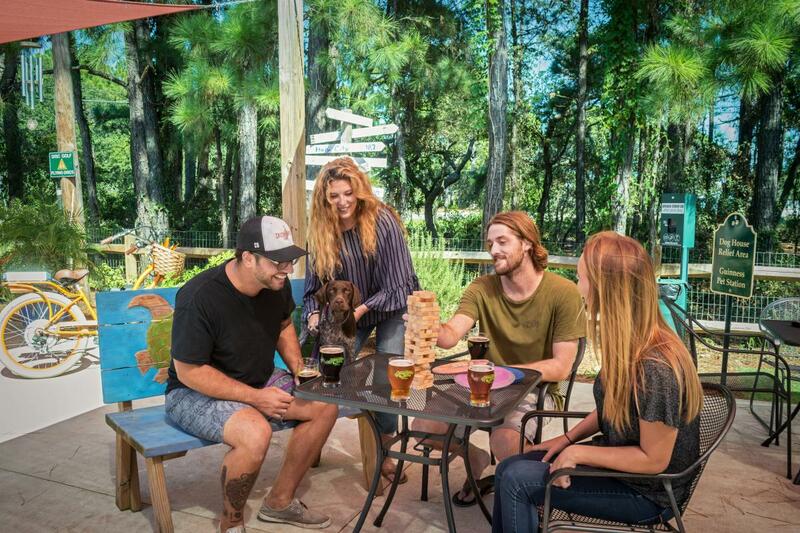 There are plenty of family-friendly activities the whole gang can enjoy, from outdoor dining to kayaking the Intracoastal Waterway, hiking at Carolina Beach State Park or taking in a Broadway show at Thalian Hall or the Wilson Center. Family bonds will strengthen after a stay in a vacation rental. What better backdrop to celebrate another year anniversary with bae than the Cape Fear River or the Atlantic Ocean? 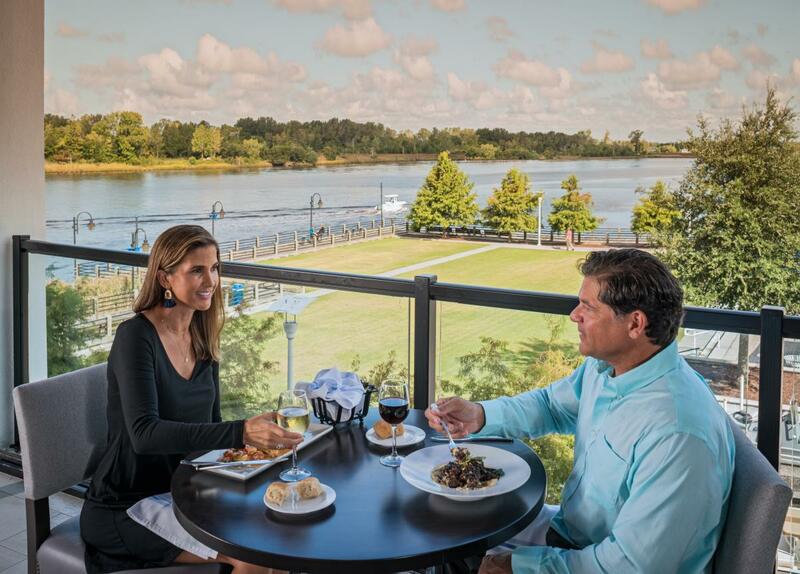 If you’re in the mood for a riverfront view, George on the Riverwalk is a must. If sandy beaches and the sound of waves are calling your names, make a reservation at East Oceanfront Dining or Oceanic at Wrightsville Beach. To experience some quality time on the water, hop on a sailboat and enjoy the sunset with Wrightsville Performance Sailing or take a cruise around the island with Wrightsville Beach Scenic Tours. Book your romantic stay at an enchanting inn like Graystone Inn, Darlings by the Sea or Beacon Inn Bed and Breakfast. 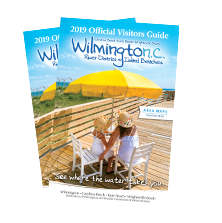 Whether you're a nature seeker, foodie traveler, craft beer aficionado or music lover, you'll find plenty of things to do in Wilmington and our Island Beaches. From historic mansions and southern gardens to riverfront venues and pristine beach strands, find a beautiful backdrop for your special event.